Aliens, UFO’s & many other sightings have been noticed in the world but then why never explored? Isn’t anyone interested? No, there are some secret alien bases working out you may not know. We have found such 7 secret alien bases. How much fiction / real, better you decide. Porton down base in Wiltshire, England, was formed during World War I, it’s main purpose in those days was to develop gas mask technology. But the main reason for it’s reputation comes from years of cold wars. It is said that in those days Porton down was administering LSD, in an effort to develop mind control and interrogation techniques. Human experimentation was also done which resulted to one death. They used VX and sarin, and the endotoxin pyrexal in their experiments. After which it gained it’s name as a secret alien base. There is still a confusion with Area 51 that it has nothing to do with Roswell, NM or the alleged 1947 saucer crash. It was said that dead aliens in those crashes had been brought there but it is said that it was mainly developed for the super-secret A-12 and SR-71 Renaissance planes. But no one discusses the realty what happens there & we will never get to know as it’s safely hidden behind off-limits mountains. There are lot more chances that it’s a alien base but as mentioned it’s really tough to confirm. 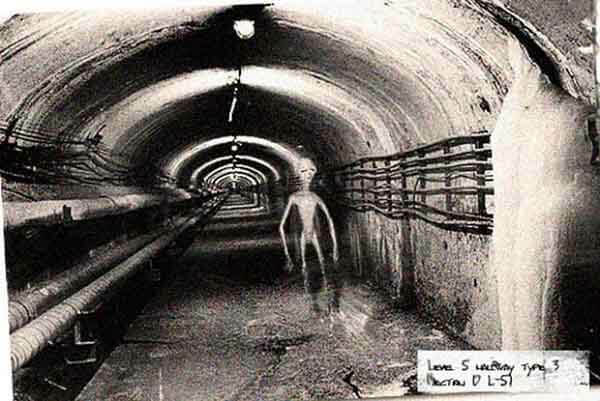 Dulce base, about 4-5km from city of Dulce, NM has been featured in a number of television shows, UFO websites and novels as a secret underground alien base but there is no evidence of it’s existence. It is said to be a joint operation between aliens and the US military.A person named Paul Bennewitz believed he was receiving radio transmissions from underneath the mesa in the 1970s which was confirmed by another enthusisast Phil Schneider. He also claimed of population of 18,000 aliens over there, and horrible experiments been conducted on them. But according to the study of Google Earth images there’s nothing there at all as elaborated by by Schneider. It’s really tough to decide who’s actually true. AUTEC stands for ‘Atlantic Undersea Test and Evaluation Center’ which is located on Andros Island in the Bahamas. This place was once hyped by History Channel’s TV show as being some kind of secret alien underwater thing. But later the employees working there made a joke out of it. Maybe to save their secret? AUTEC is a beach resort, with a small protected harbor carrying out some secret projects that aren’t disclosed by the navy. According to them they’re concerned with underwater warfare but who knows? Zhitkur Base, Russia is actually called Kapustin Yar and it’s an occasionally active rocket launch facility. They do not have any underground component or runways that would characterize a secret aircraft research facility. Kapustin Yar came to limelight by the History Channel, same as they did to AUTEC as some kind of secret alien operations being carried out here. That History Channel coined the term “Russia’s Roswell” and stated that all kinds of secret research is done there but now it’s no longer considered much. Hangar 18 is a building at Wright-Patterson Air Force Base in Dayton, During the cold war, the US Air Force had a program called the Foreign Technology Division. FTD’s whose job was to study and reverse engineer captured Russian aircraft, or any other foreign objects that might have fallen into their hands. May be sometimes alien objects too. FTD also had locations near Nellis Air Force Base in Nevada (home of Area 51) for testing the flight characteristics of these planes. Hangar 18 became a part of UFO mythology, for no reason other than a Hollywood movie. Surprisingly, a large number of people believe that there is a secret military base on the far side of the moon. It is believed that the Nazis constructed a moon base on the far side, and continue to maintain it. But more people believe aliens have a base on the moon, from which they presumably launch their UFOs. 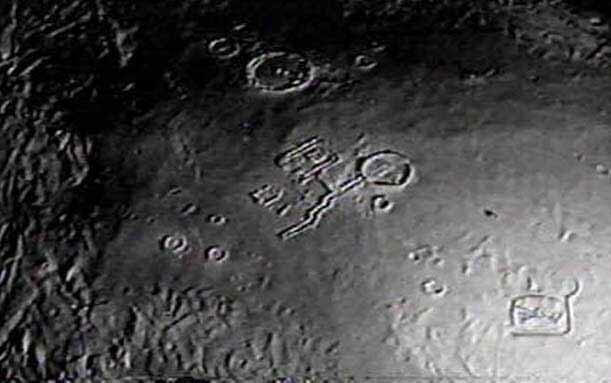 Clementine probe which was sent to the moon in 1994 supposedly sent back 1.8 million images but that 1.6 million of them were classified may be because they showed alien bases. It’s a fiction yet to be proved. Does this ‘Top-Secret’ memo finally prove a UFO DID crash in Roswell? Previous Article← Video: Was This a Russian Bigfoot Caught on Camera?